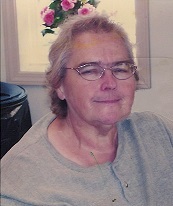 Danetta Elaine Clark, age 71, of Edgewood, Illinois, passed away at 2:51 p.m. on Saturday, April 6, 2019 at St. John’s Hospital, Springfield, Illinois. Danetta loved doing crafts and spending time with family and friends. She enjoyed playing board and phone games. Danetta was born April 21, 1947 in Effingham, Illinois, the daughter of Bobby Scott, Sr. and Germaine (Holland) Scott. She married Gary Lee Clark, Sr. in July 1972. Danetta was preceded in death by her parents, Robert and Germaine Scott; brother, Brad Scott; sister, Ladena Scott West; and one niece.